This local gem needed a website as sparkling as its reputation: big, open, welcoming and here to serve. The history of this restaurant goes back to 1836, when it was a company headquarters and boarding house for area lumberjacks. Now it serves a community of loyal and hungry locals and travelers. 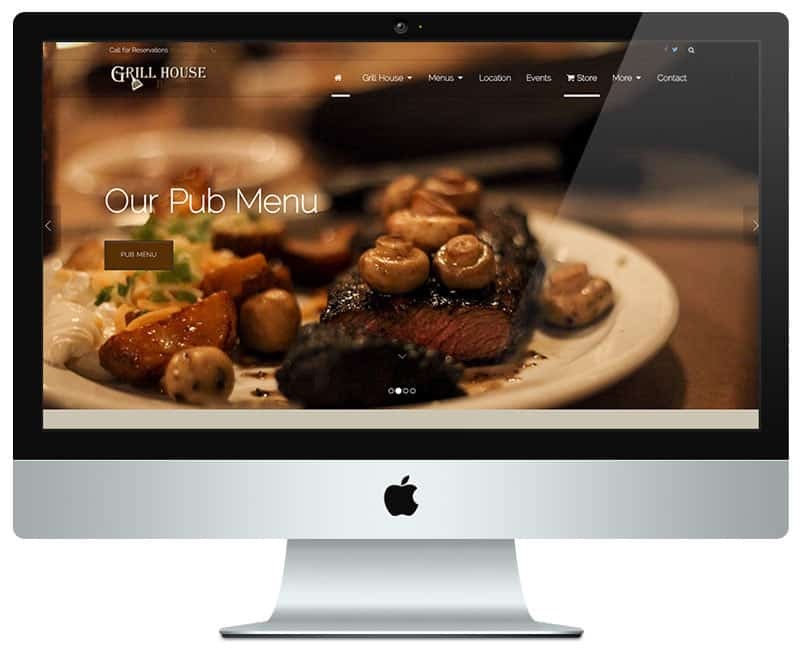 Using a full-width slider on the homepage, the Grill House can showcase what it has to offer with beautiful imagery: grill-your-own meats, pub food, an outdoor patio, local beers and a friendly atmosphere. This website has what all restaurant websites should have: a text-based online menu, not just a downloadable PDF. There's even a customized event system that has a unique page for each event, making online marketing a breeze. There is also an online store selling famous Grill House steaks and merchandise. Project features include online menus for pub, grill, beverages and “what's on tap”; a custom event system with unique event URLs; and a detailed location page with map, hours and contact information. Featured on the Travel Channel’s “Steak Paradise: Part II – A Second Helping”, this high-traffic restaurant website offers what visitors seek: big food, and a warm and welcoming atmosphere.